Join our veterinary family in Oshkosh, the event city of Wisconsin! Oshkosh, located halfway between Green Bay and Madison, WI, has a small town feel in a city of over 65,000 residents. This college town has many amenities for new families and outdoor enthusiasts as well as an up and coming down town area. 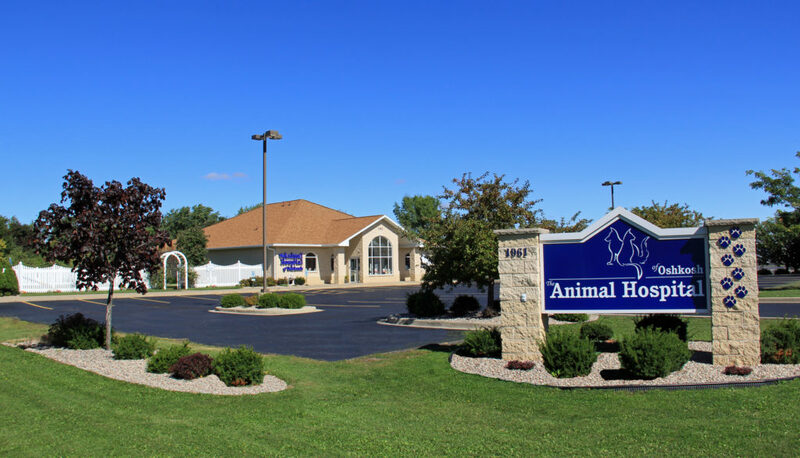 Animal Hospital of Oshkosh has an energetic and progressive culture, created by a talented and passionate veterinary staff. We are a progressive, state of the art, small animal practice, equipped with digital radiology, dental radiology, therapeutic laser, ultrasound, and a large pharmacy. In addition, we offer feline behavior consults, low-stress handling, orthopedics, exotic medicine, and an emphasis on client education. The collaboration of our seven doctors creates an atmosphere of continuous learning and allows us to practice quality medicine. We are seeking a client-oriented team player who can multi-task and prioritize in a fast-paced environment. The candidate will have ambition and take the initiative to identify tasks that needs to be done. We will utilize your technical skills and encourage continuing education and career growth. We offer competitive wages, vacation days, paid holidays, employee pet discount, uniform allowance, and CE opportunities.